These golden sensational chandelier earrings encrusted with cubic zirconia stones are a gorgeous addition to your jewelry collection. The beautiful earrings are exceptionally similar to the jewelry trends on the red carpet Gold finish. These golden sensational chandelier earrings encrusted with cubic zirconia stones are a gorgeous addition to your jewelry collection. 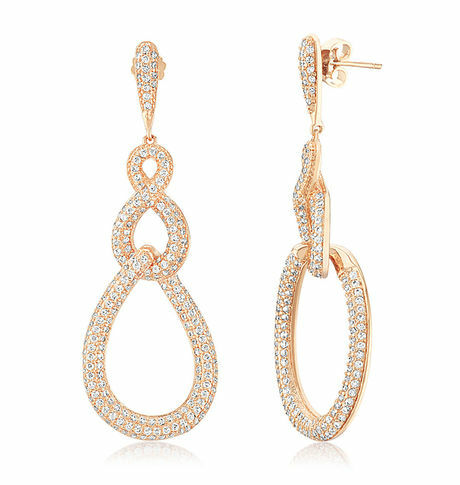 The beautiful earrings are exceptionally similar to the jewelry trends on the red carpet Gold finish.Cancellation and Return Policy: • Exchange allowed post booking • No order cancellation or Refund transaction allowed at the store.